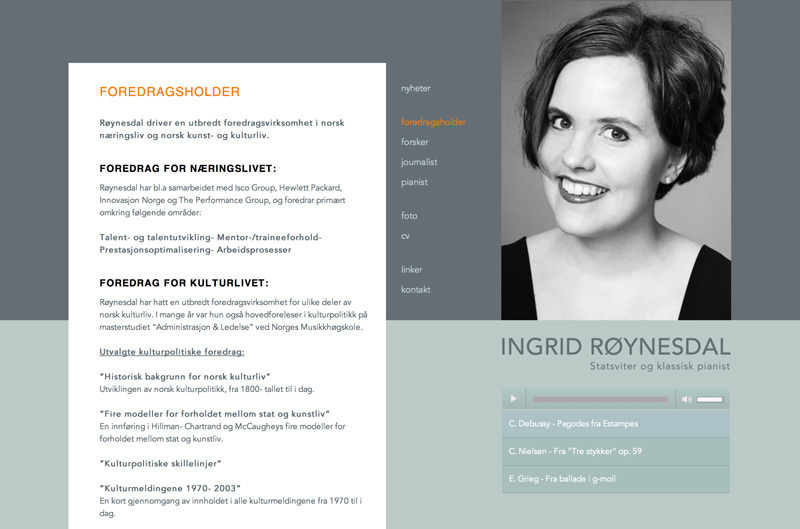 Webpage for Ingrid Røynesdal. Structure and Graphic Design. Link to page.